It’s the timing. Babson was two years early, so by the time the bubble peaked, no one cared. Sort of like today with six years of easy money/credit and rising prices in the US stock markets. 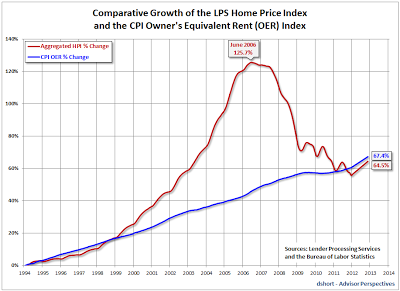 Note the housing bubble. Home prices were far above owner’s equivalent rent (the cash flow/income to support home prices) in 2002/2003 but then two to three years later the apex was reached. Soros in his theory of Reflexivity would propose to ride the bubble knowing you were in a bubble and then reversing course once it burst (the most marginal buyer has bought). Not easy in the hurly-burly world of investing. 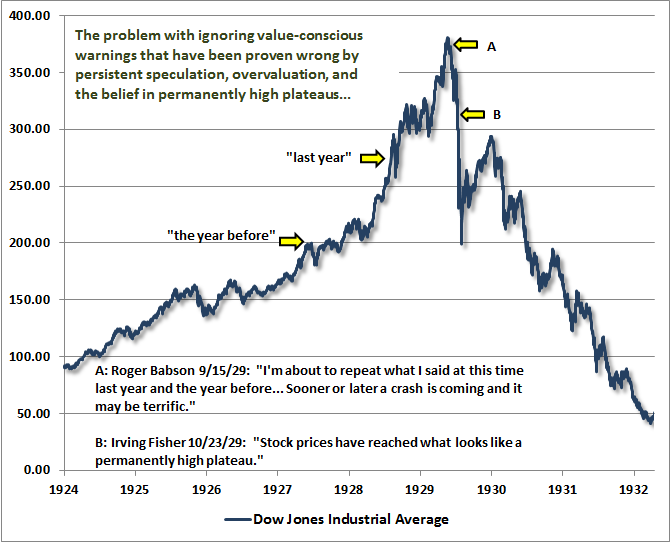 This entry was posted in History and tagged Babson, Bubbles, Housing, Reflexivity, Soros, stock market. Bookmark the permalink. Yup. US Stock prices are absurd if you are seeking 12% returns. Expect 3% to 4% over the next decade or more likely lower. 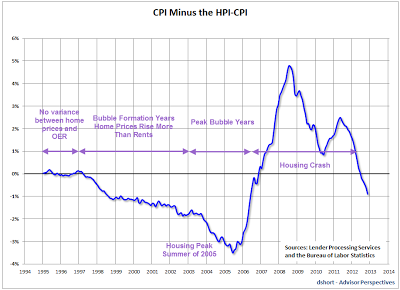 High debt, manipulated interest rates and unsustainable profit margins.